Have it Your Way with the Parkway! Choose your Shape, Choose your Size and Choose your Style! 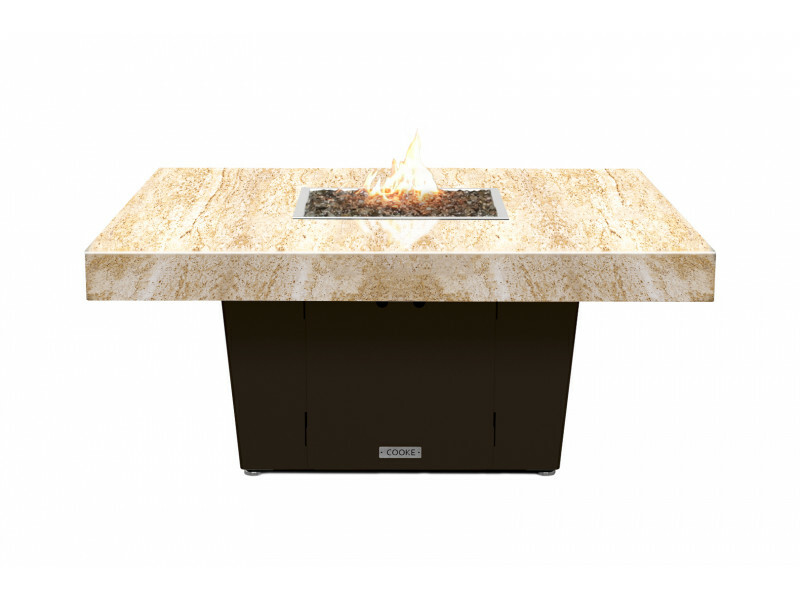 The Parkway Fire Pit Table comes in rectangle, square or round table top options to customize your outdoor living area to best suit you. All the table top options allow plenty of space for glasses and plates to enjoy a dining experience. Your Parkway table comes in a chat height (21”) or a dining height (29”) to fully personalize your Parkway fire pit table to fit your outdoor entertaining. The dining height offers better foot clearance, and clearance for chairs with armrests for comfortable dining. 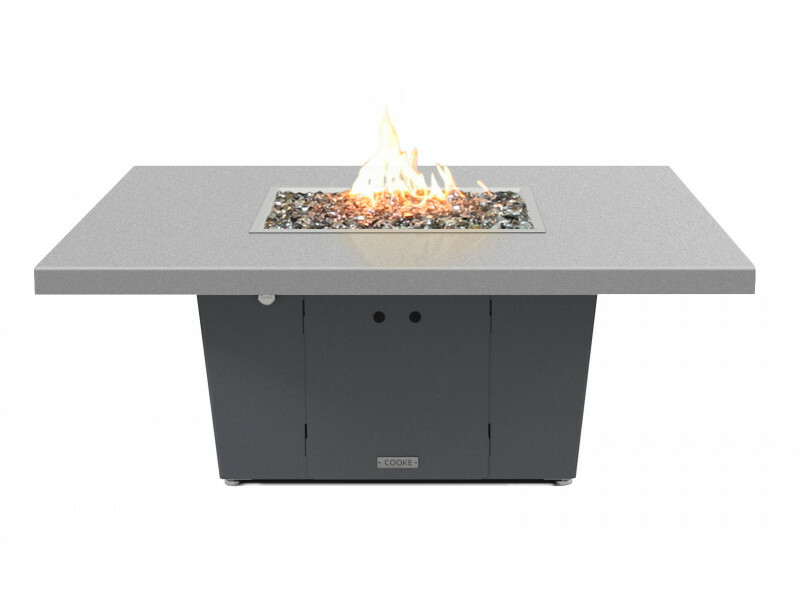 The Parkway fire table is available in a beautiful granite stone or aluminum plate. The base is made of 16 gauge aluminum powder coated in several standard colors or customized to any color of your choice for an added fee. This stunning fire pit comes with an optional glass wind screen to enjoy fireside dining on a windy night. 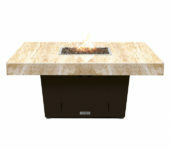 You have the option of fire pit media – fireglass, lava rock, or customize it with ceramic stones or logs. Like with all COOKE fire pit tables, there are no hoses or tanks outside of the table. The fuel lines and propane tank are hidden in the base of the table. For natural gas we offer an all weather electronic ignition and is fully home automation compatible. 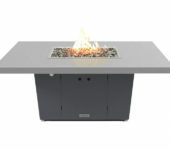 The Parkway fire pit table is made manufactured in California using precision CNC bending and laser cutting technology. Click here to buy now! The Parkway fire pit table ships in 4-6 weeks.